A premier tourist destination that was once the center of the ancient Minoan civilization, Greece’s “Great Island” of Crete is known for its quiet hospitality for visiting families, honeymooners, older travelers and couples, with many of its hotels listed in the Hotel Crete guide for tourism. Staying at an island that is renowned for its classical settings, its early history, legends, ancient myths, natural sites, monuments, and golden beaches, Crete has become extremely popular among nature friends, sport lovers and visitors who wish to relax while enjoying the fantastic outdoor settings that Crete has become so well-known for. One of the many comfortable Hotel Crete lodgings is the Plakias Bay Hotel that is located in the small southern village of Plakias – considered an excellent-priced paradise by returning visitors who visit year after year. Located approximately two hours from Chania and Heraklion airports for easy travel accommodations, the community of Plakias is within a day’s travel of every island attraction and event that has made this small village one of Europe’s most colorful and exciting paradises. At the end of the day when the island sun reaches down and dips into the blue Mediterranean Sea, the Plakias Bay Hotel will be patiently waiting to offer its guests quality accommodations and the highest of hospitality services in the area along with plenty of delicious food fit for a king at their in-house restaurant. With the Plakias Bay Hotel one of several hotels of the island, many represented in the Hotel Crete guide – it is easily one of finest hotel lodgings in Plakias that meets the unique needs of each and every visiting tourist as if they were part of the family. Within a 15-minute walk from the village of Plakias, the quietly located hotel offers spacious rooms with balconies that look upon the beach. Tourism took on a new look in 1984 when the hotel resort of Plakias began to focus on local activities for visitors to do. 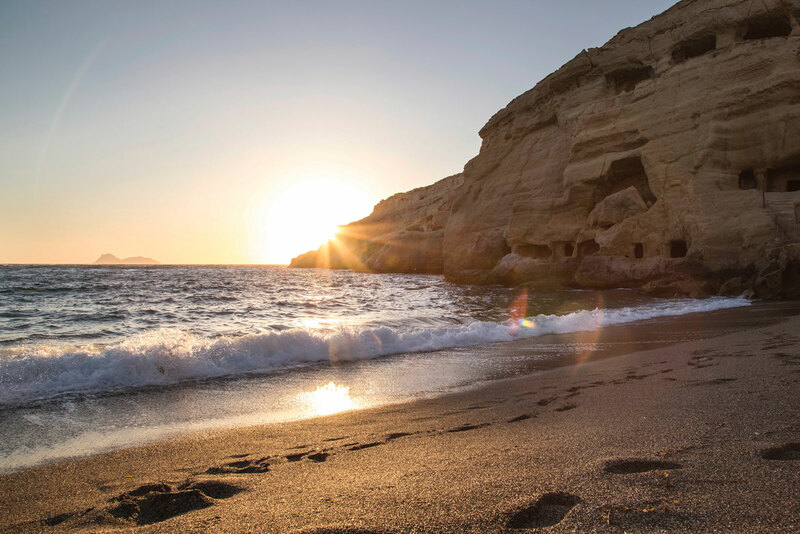 With Plakias Bay enclosing one of the most beautiful parts of the southern coast of Crete, the area is more than the hotels listed in the area’s Hotel Crete guide. It can become a traditional way of life for a short time – as long as visiting tourists wish to partake of its unique island environment and friendliness of the Cretans. Visiting the Plakias Bay area is not complete without enjoying the area’s watersports or visiting the many sightseeing places listed in the Hotel Crete guide for its many Cretan hotels. Nature lovers can enjoy the island’s wild nature of Southern Crete through an organized Jeep Safari. Meanwhile, hikers, cyclists and walkers take pleasure in the area’s breathtaking gorges and scenic pathways for quality climbing and hiking … or just plain ol’ sightseeing with a camera in hand. The Plakias Bay Hotel area also offers numerous water activities for its visiting guests in the crystal clear waters of the nearby Mediterranean Sea – scuba diving with the local diving schools, windsurfing, sailing, swimming or sunbathing on the sandy beach. And for those who wish to enjoy the island’s infrastructures, they can check out tours, taverns, cafes, restaurants, sun beds, or walk around sightseeing – after picking up a Hotel Crete guide.